Cooperation and Development Network of Eastern Europe will hold its 10th General Assembly on 8-9 March 2018 in Istanbul, Turkey. The General Assembly will be hosted by CDN’s Member Organization Young Greens of Turkey. We have received 4 applications to host the Cooperation and Development Network’s General Assembly. Thanks to Belarus Young Greens, MODOM and Gutta Club for their applications, we look forward to future cooperation. This year’s General Assembly will also be held together with Working Groups Meeting. 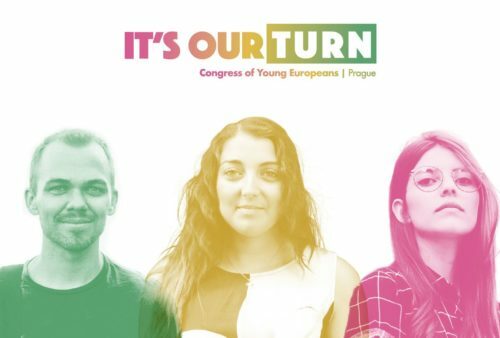 More than 60 Young Greens from Eastern Europe and beyond will gather for debating, discussing and deciding on CDN’s activity and financial plan for the next year, approve its strategy plan for 2019-2022, as well as election of the new Executive Committee and much more. General Assembly (GA) is the highest decision-making body of CDN organised by CDN Executive Committee. The GA gathers at least once a year and has a full power to take any necessary decision in order to realise the objectives of CDN. GA is consisted of the member organisations and partner organisations of CDN. MEMBER ORGANISATION of CDN has a right to be represented by two delegates with voting rights at the General Assembly and has full right to nominate its candidate for any organisational group/position or submit amendments to any organisational document of CDN. CDN will cover the full travel and accommodation costs of the 1st Delegate of each Member Organization. Member Organizations can decide to send 1 delegate with two voting rights or 2 delegates, each with one voting right, as long as they cover the participation and travel costs of the 2nd delegate. PARTNER ORGANISATION of CDN has a right to send one delegate with no voting right to the GA and has full right to nominate its candidate for any organisational group/position or submit amendments to any organisational document of CDN. The travel costs of the delegates of partner organization are not covered by CDN. GUESTS are also welcomed at the CDN GA, bearing in mind that CDN can’t cover their GA related costs and they will be subjected to participant fee. The call for Delegates and Guests will be out soon with more details.